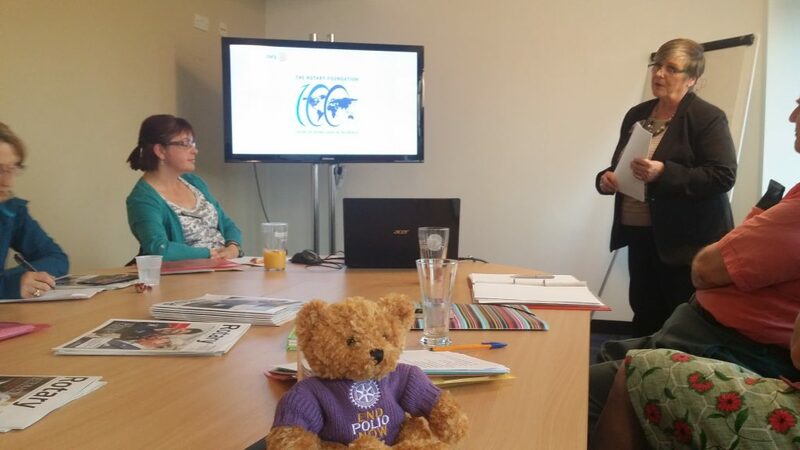 Our club was the first Rotary club on DG Joy Arnott’s tour across all the Rotary clubs in District 1090. 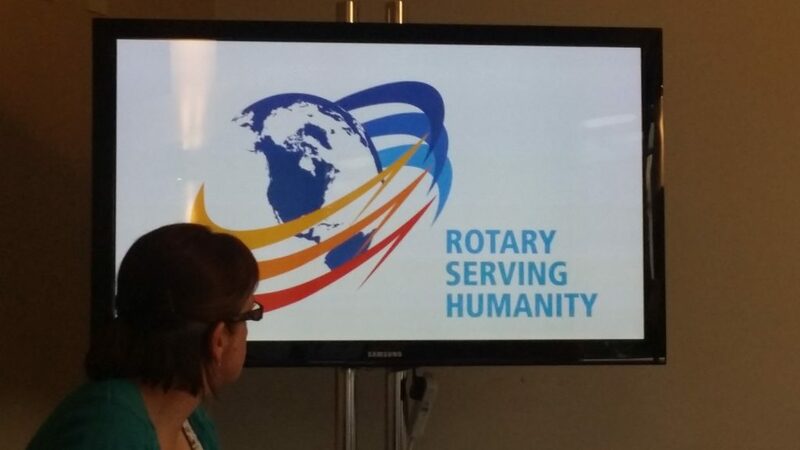 She started her presentation by informing us about who the current RI president is and informed us about the theme for 2016-17: Rotary Serving Humanity. Joy told us a story about how she explained to a member of public in San Diego what Rotary is. How she lit up with excitement as she was finally able to perform her “Elevator pitch” about what Rotary is. 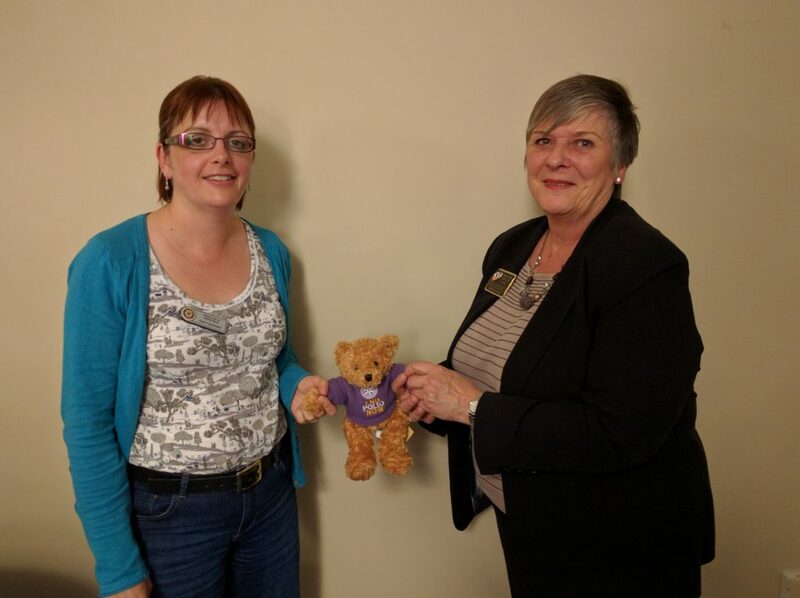 She then spoke to us about the End Polio campaign; from facts about Polio, to promoting the Crocus campaign, to reminding us that we will aim to eradicate by the end of the Rotary year. We must not stop working to End Polio. Afterwards Joy promoted Rotary Foundation, which is celebrating its centennial anniversary. 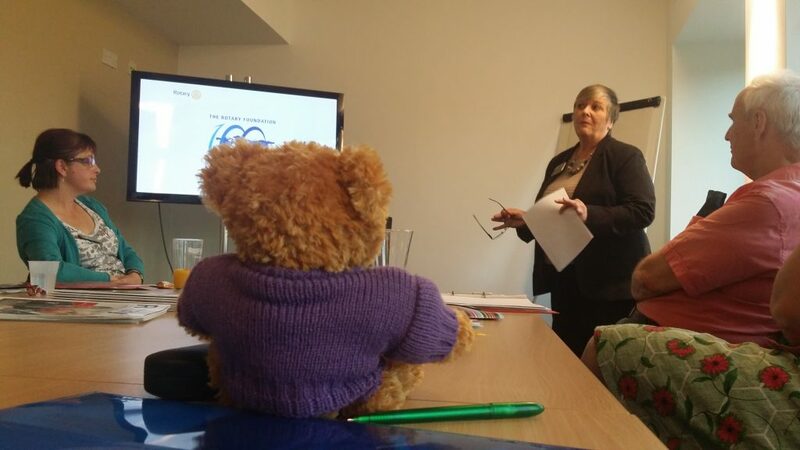 She reminded us about all the great work that Rotary’s own charity does for the world and encouraged us to think about global projects and using its global grant. Joy highlighted the challenges that Rotary as a whole must face in terms of memberships. 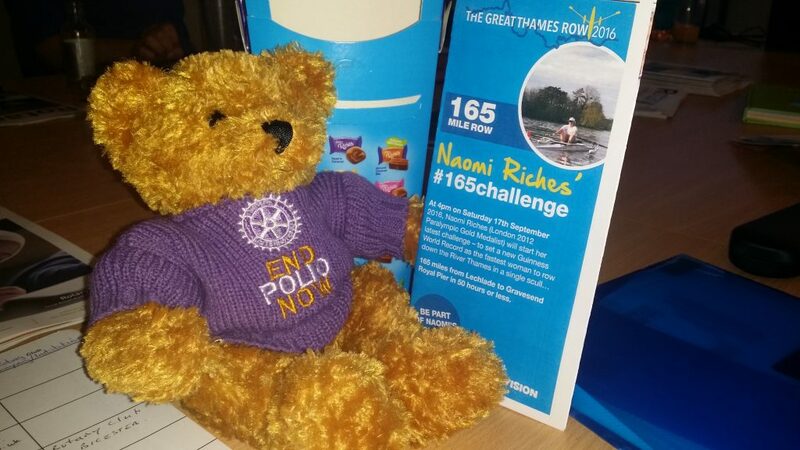 Finally she promoted lots of upcoming events, including Naomi Riches 165 challenge and the Rotary District Conference 2017. 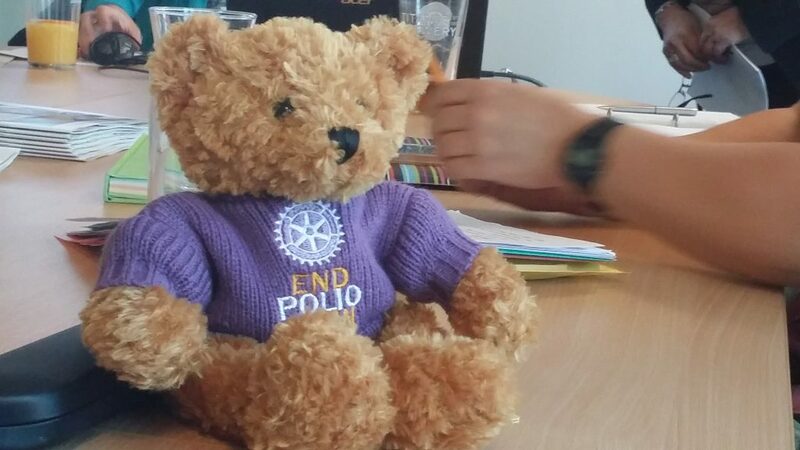 Joy had everybody captivated with her presentation, including Polio Bear. Phil Shipman also gave a presentation of Uganda Project update, which his previous club started and has regular contact with. It was an update to his previous presentation, which he gave back in February 2014. 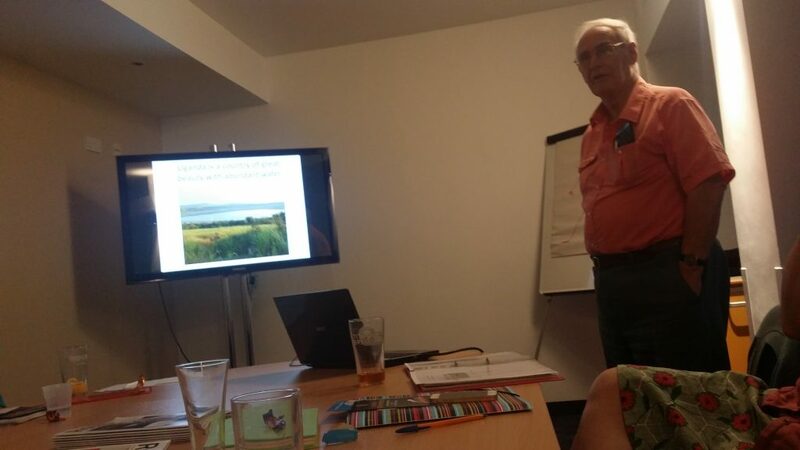 Phil told us about the problems that there were in Kanungu, which the Rotary Club of Sinodun were involved in, as well as sharing his experiences when he visited the Rotary clubs in Uganda. All in all, it was a fully packed evening with lots of content.